Want to start 2014 right? Here are four ways to get there. Purge – I don’t know about you, but I have stacks of magazines, files, links on my computer desktop of things I wanted to read or follow up on but that just weren’t all that important. I find that purging those items as well as physical files and even computer files frees me up and makes it much easier to focus. Budget – Ok, we know I’m a super geeky Excel numbers person, so I love this step. But even if you’re not in love with numbers the way I am, this step can be very beneficial. I always start by looking at last year’s spending on a monthly basis. I look at one-time expenses and remove those, and I look at the places where I spend the most money and see if there is room for improvement (cost cutting, new vendors, etc.) Finally I factor in any new plans for next year and estimates of what the costs will be. It always helps to have an idea of what we’ll need going forward. Plan – I’m not a big believer in a big formal business plan that takes weeks or months to write and then sits on a shelf. Who is? But I am a planner. 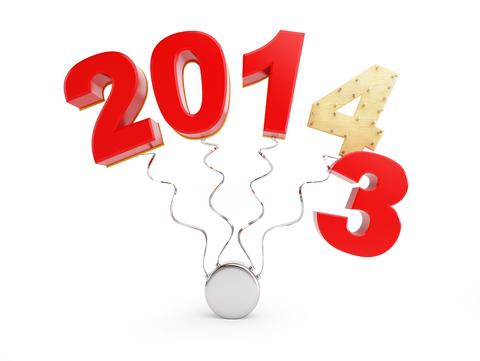 What changes do you want to make to your business in 2014? What things (customers, products, services, behaviors) do you want to let go of? What do you want to add? Dream big, then pick one or two for each quarter and make a plan that includes activities you can control. That’s how you change your business. Rest – Ok, I know I said this in this post, but I think it’s really important. If we’re not careful the holidays can turn into a crazy time of parties, shopping, cooking, cleaning and running around. Now all that can be fun and enriching, but I think it’s vitally important to take some time to rest and renew and enter 2014 the best you can be. What are you doing to prepare yourself or your business for 2014? All four points you make are extremely valid. And your advice is extremely good. But #’s 1 & 3, Purging and Planning are definitely where the most bang for my buck will probably be achieved! But your entire list is definitely food for thought! And probably once every quarter or so!Thanks!